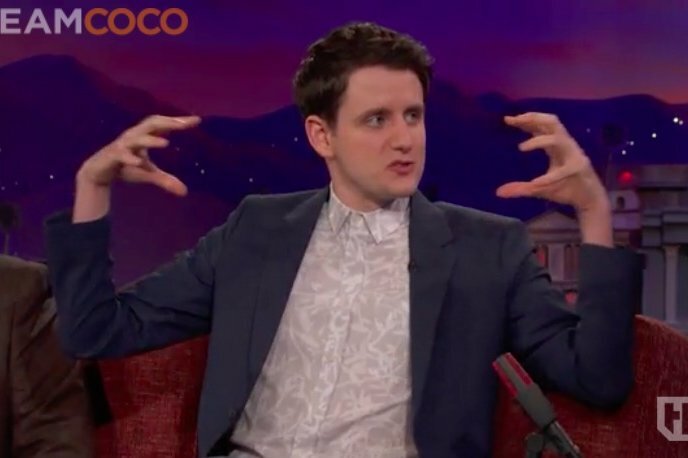 Zach Woods, the actor known best for his current role as Jared on HBO's “Silicon Valley” and, previously, Gabe on “The Office,” visited “Conan” to share some (disturbing) stories from his hometown in Yardley, Bucks County. “There was this guy from my town called the bread molester,” Woods told host Conan O'Brien. Eventually, the neighborhood grocery stores coordinated a “sting operation” to catch the bread defiler. Find out what happened in the clip below. Woods drew some heat in the local press a few years ago following an appearance on Marc Maron's WTF podcast when he referred to childhood memories of people at Flyers games “throwing batteries at Santa Claus." He also described Philly as “kind of a racist city,” which he later apologized for to Philly.com. “I felt so awful people thought I was bashing Philadelphia. I was trying to be light-hearted and it ended up coming off completely wrong,” he said at the time.